➠The Bachelor of Arts in English Communication with a cognate in Communication is an on-campus degree. In this new era of globalization, the effects of information technology have spread to all parts of the world, with English emerging as the predominant language of international business and communication. The development of the Greater Mekhong Sub-region and all of ASEAN as increasingly cohesive trade regions have brought with it a rising demand for highly qualified, multilingual professionals. Fluency in English offers more than individual access to international news, information, and knowledge. It has also become a vital strategic tool for the economic, political, and social development of any nation, and the young men and women who are comfortable in this language are increasingly in demand. The degree program emphasizes key skills in linguistics, writing, and intercultural communication to help equip future graduates succeed in their chosen careers. As more and more people travel, the tourism and hospitality industry worldwide faces an increasing demand for professionals with up-to-date training and strong language skills. This industry in Thailand and throughout ASEAN has experienced remarkable success, and it continues to expand and diversify. Designed to meet the needs of a dynamic industry, Hospitality Industry Management offers a core of specialized business and management studies. The course provides a detailed understanding of the unique features and challenges of the international hospitality and tourism industries and prepares for a career at the heart of the world’s largest and fastest-growing industries. International economies and globalization means businesses are constantly changing to meet new demands. Firms will remain competitive if management can navigate the challenges of changing business environments. Our International Business Management program cultivates professionals that are well trained and prepared to compete and flourish in the face of such changes. An international focus on courses such as management, economics, and entrepreneurship broadens student’s global horizons and provides a unique opportunity to build a career in international business. 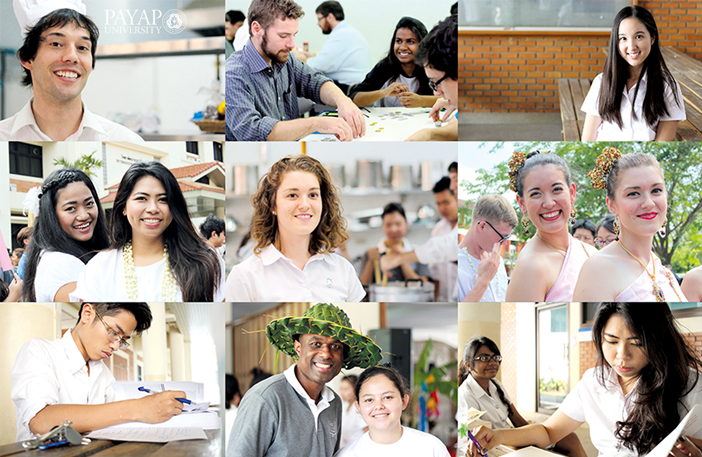 Whether with a global firm, small or medium sized business, or as an entrepreneur, Payap University’s International Business Management prepares students for the changing global environment.